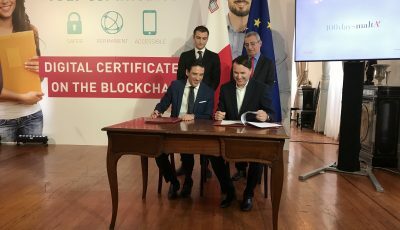 Learning Machine Group (LMG), a technology company dedicated to providing digital social infrastructure at a sovereign nation scale, has signed a Memorandum of Understanding (MOU) with the Ministry for Education and Employment (MEDE) of the Republic of Malta, according to a press release CoinReport received. 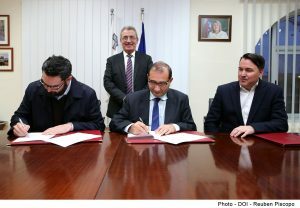 The signing of the MOU co-occurs with the conclusion of “The State of Digital Education: Engaging with Connected, Blended and Open Learning,” a convention held between January 19 and 20 as part of Malta’s Presidency of the Council of the European Union. Through the MOU, both parties indicate their intentions to develop and implement a Malta pilot of LMG’s nation-state technology platform, said the release. 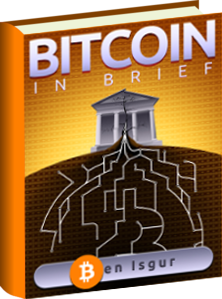 The platform is based on the LMG- and the MIT Media Lab-developed Blockcerts open standard. An open-source enterprise, Blockcerts is OBI-compliant. It lays out a shared route for official records that are owned by learners and workers. The LMG technology that will be used in this pilot is developed particularly for professional certifications as well as academic credentialing and helps the creation, issuance, viewing and authentication of blockchain-based certificates. Because they are registered on a public blockchain and are cryptographically signed, these certificates are tamper-proof and can straightaway be used when applying for university, employment or immigration. A key enabler of this mission is proof of skill and achievement. Education is a principal means, as it builds a range of skills and edification that results in empowerment and better financial prospects for communities as well as individuals, said the release, adding that to ensure that the advantages of learning are completely realized, confirmable proof of education is necessary. Academic achievements can very easily be brushed aside by others or they can simply disappear over time without proof, but with proof, each accomplishment turns into a basis of pride and a building block for future achievements. Supplying workers and learners with their official records furnishes the base for sustained personal growth, vocational success and educational momentum.